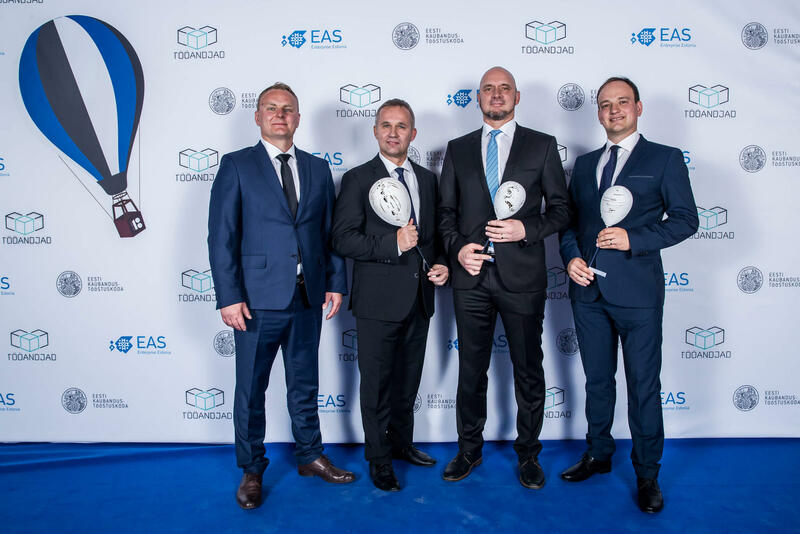 Cleveron was named the Company of the Year 2018 in the Estonian Entrepreneurship Awards 2018. We were also named as the Design Applier of the Year and the Innovator of the Year and were one of the top three companies in the Exporter of the Year category. “This year's Company of the Year is a truly inspiring story, where a rapidly growing business has been built up from scratch. It is a high-tech company from the small town of Viljandi that has established partnerships with the biggest retailers in the world,” said the Chairman of the board of Enterprise Estonia, Alo Ivask. Cleveron’s CEO Arno Kütt said that being named as the Company of the Year is a great honor for Cleveron. “It is also an acknowledgement to all the cleverooniks (Cleveron's employees) and the city of Viljandi. It shows that you can do great things in small towns when you set your mind to it,“ said Kütt. Cleveron’s success lies in our innovative products that solve the challenges retailers are facing due to the growth of e-commerce. They help to save time and money both for the merchants and for the end-customers. Cleveron’s robotic solutions speak for themselves – in 2015, Walmart started testing five PackRobots. After the successful launch, now there will be 700 PackRobots in Walmarts across the USA by the end of 2018. Within a few years, Cleveron has submitted more than 50 intellectual property applications for our innovations and the number of target regions where Cleveron´'s intellectual property has been implemented has significantly increased, now including Asia. In the last three years, the turnover has grown threefold. In 2016 the turnover was 3.2 million euros, in 2017 it was 11.2 million euros, and the expected turnover for 2018 is 47 million euros. Amongst Cleveron’s clients are the world’s biggest retailer Walmart and world’s biggest fashion retailer Inditex. The Entrepreneurship Award competition is organized by Enterprise Estonia, Estonian Chamber of Commerce and Industry and The Estonian Employers’ Confederation. It is the highest recognition of the Estonian state to outstanding and progressive companies. Three most notable companies in each competition category were selected in cooperation with experts in the field, who evaluated the companies’ economic indicators as well as the values and contribution to society. 369 companies took part in the competition this year.